One of the many technologies that I get to work with on a regular basis is EMC RecoverPoint. It has continued to evolve as the years have passed. Code version 4.1 was released a few months ago and I wanted to go over a few of the major new enhancements. Before MetroPoint, RecoverPoint was used to protect VPLEX distributed volumes, via replication, to a third site. However, RecoverPoint only protected one site of the Metro for a distributed volume. If the site performing replication to the remote site went down, hosts could access the distributed volumes but continuous data protection wouldn’t happen. MetroPoint, eliminates this problem because replication can switch over to the other site and continue to replicate to the disaster recovery site. When this happens, a source switchover occurs with only a short init phase. In RecoverPont 4.1, snap-based replication can be used to replicate point-in-time snapshots asynchronously from production to target. Benefits in doing snap-based replication are reduced traffic transmission and lower RTO. This will also provide better journal utilization. I/O throttling regulates I/O during Init/Full sweep initialization to prevent burdening the storage array due to heavy I/O activity by RecoverPoint. I/O throttling support has been extended to support individual storage arrays meaning the throttling value can be different for different storage arrays involved in the replication process. There are few smaller enhancements listed below. As you can see RecoverPoint continues to get better and makes Disaster Recover more feasible. Once you have recovered your protection site and you are ready to failback you need to setup up replication. 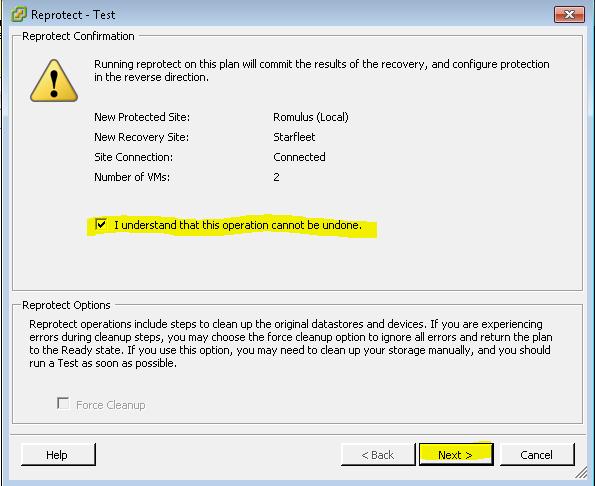 Go to the recovery steps tab and select Reprotect. 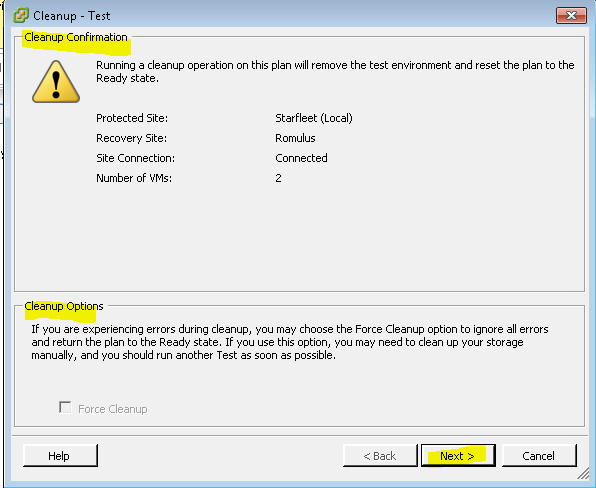 You will now see the protected VMs back at your Production Site. You can then fail back to production once you are ready. 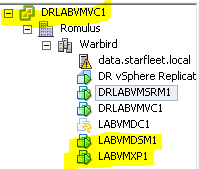 This concludes the Blog Series on VMware SRM with vSphere Replication. 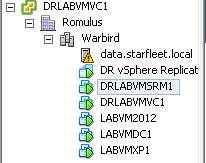 This is one of my favorite features of SRM. You can do non-disruptive testing with the click of a button. 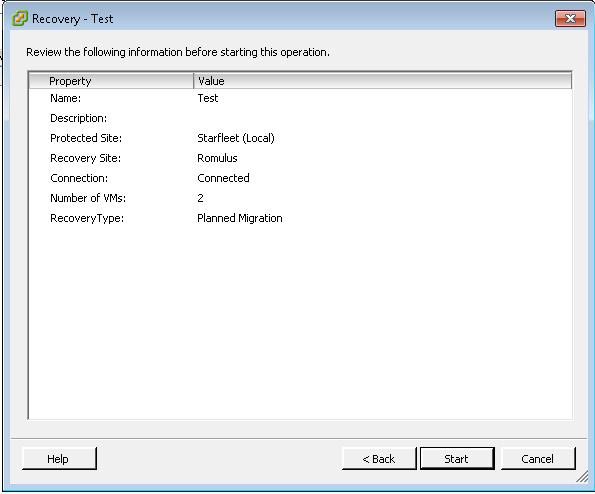 Login to SRM and go to your Recovery Plan and select the Test button. Test Confirmation. 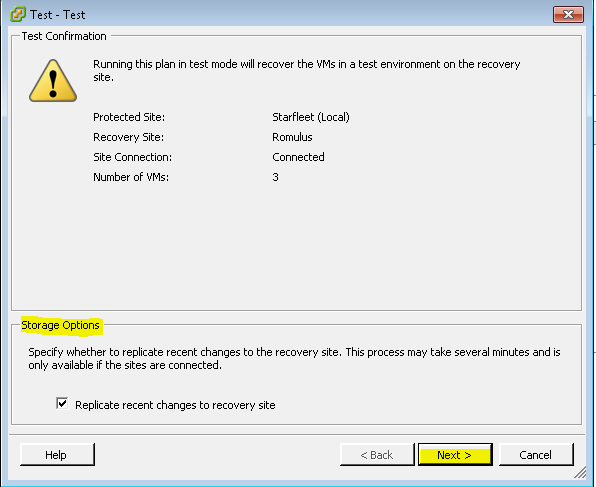 You have the option of replicating recent changes to the Recovery Site. The Next Blog will cover the actual Failover. 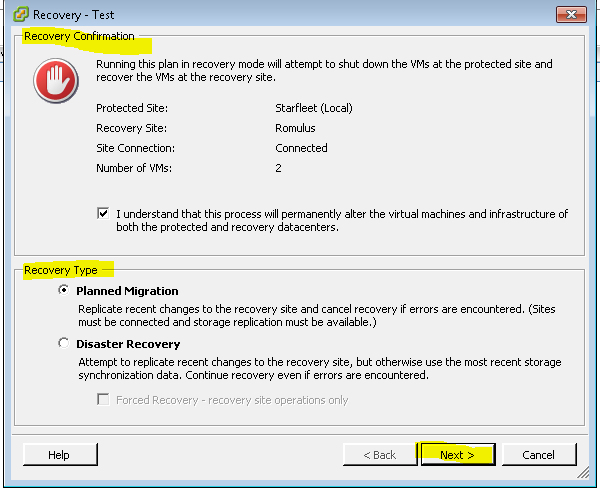 This is Blog 7 on VMware Site Recovery Manager and vSphere Replication. 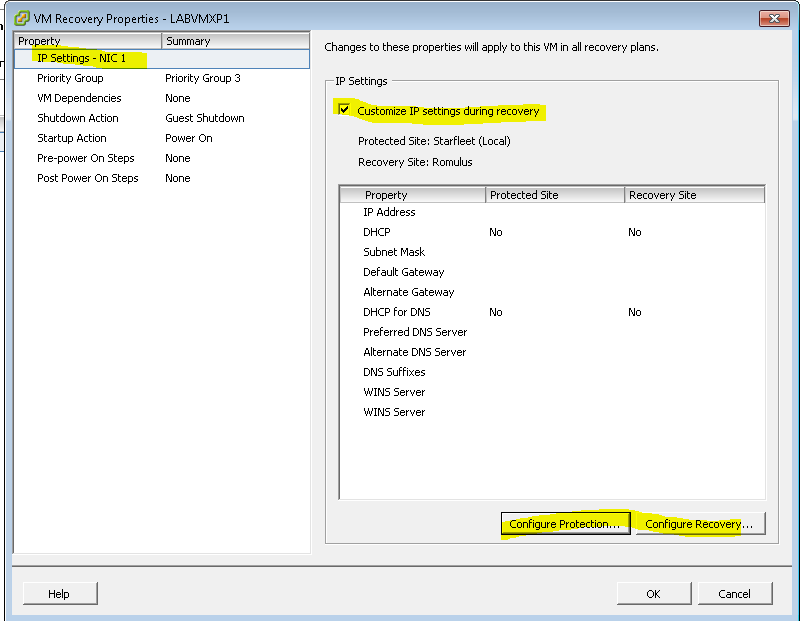 This post will cover the VM Recovery Properties on each VM being recovered. 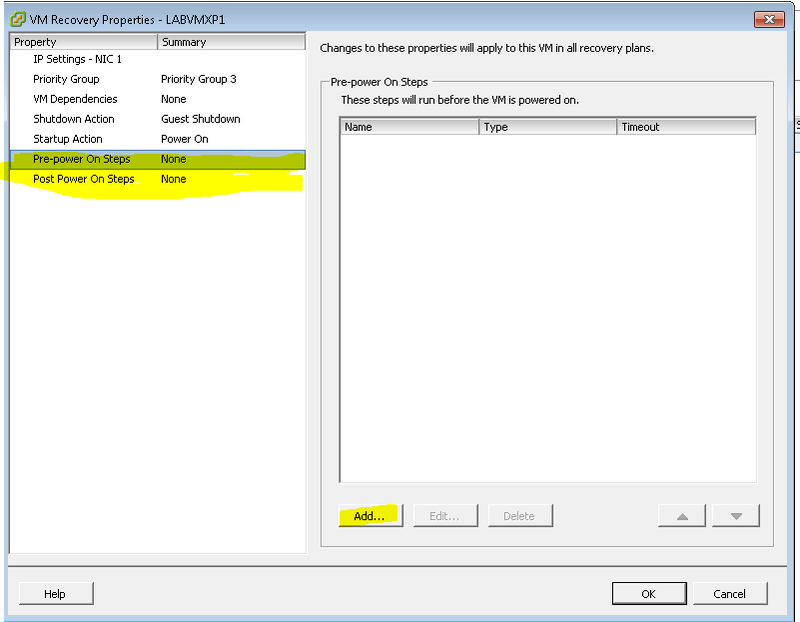 Now that the Recovery Plans have been created you have the option of going into each VM and changing some Recovery Properties if needed. 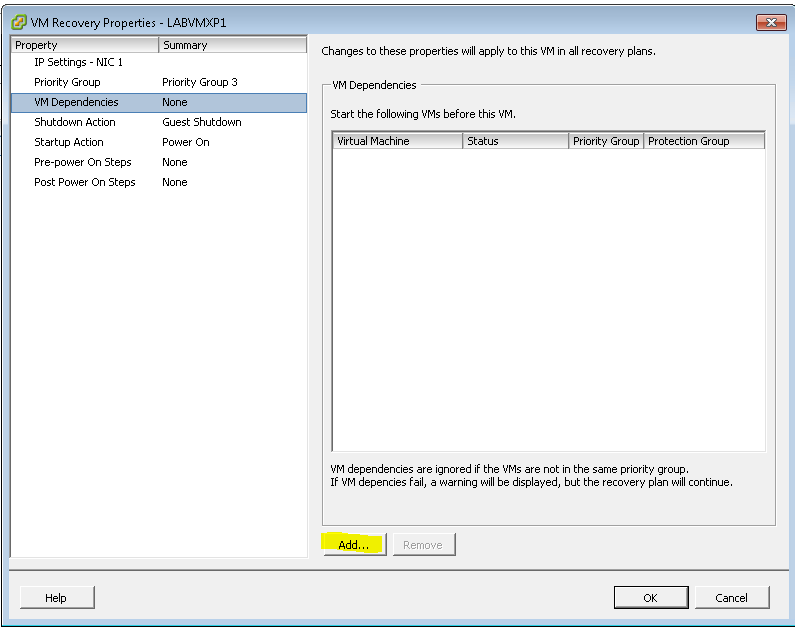 Go to the VM Tab in the Recovery Plans and Select VM Recovery Properties. 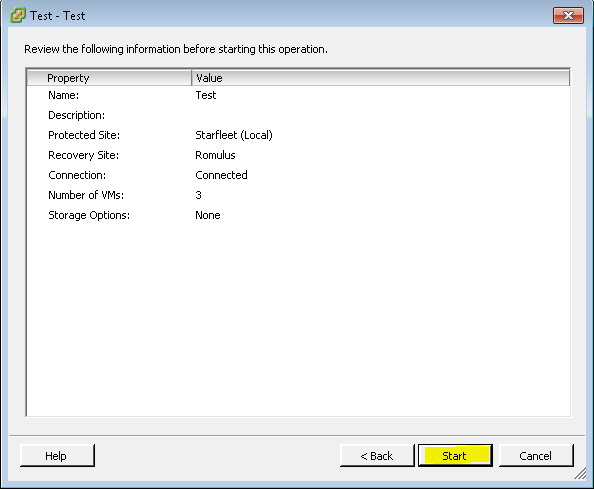 The first option is the IP settings. Based on how your network is setup you may need to change the IP at DR. Priority Group 1 will be started first at DR and Priority 5 will be started last. 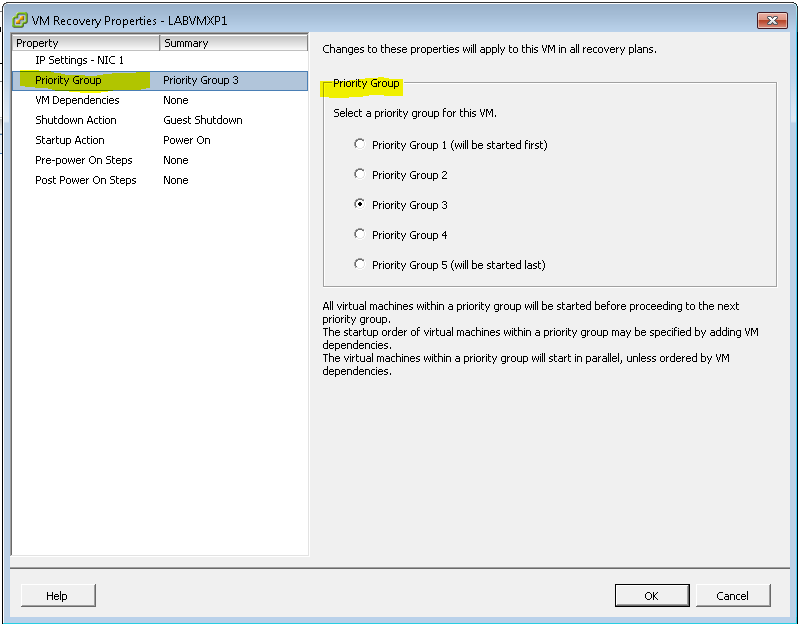 This only applies of the VMs that depend on each other are in the same Priority Group. An example would be a Database Server and a App Server. They need to be brought up together. Used to power off VMs at the protected site during a Recovery. 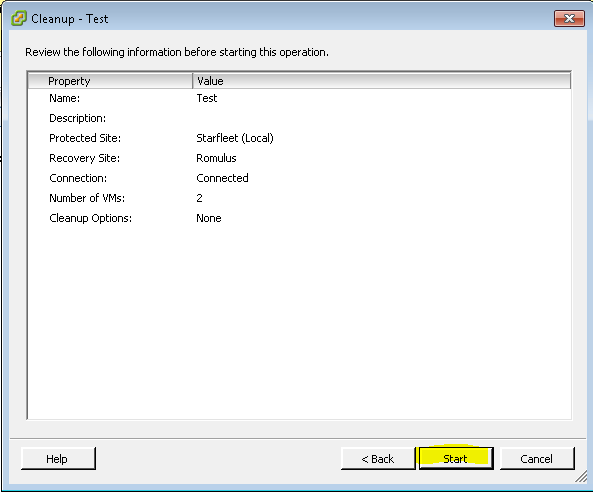 Shutdown is not used during Test or Cleanup. 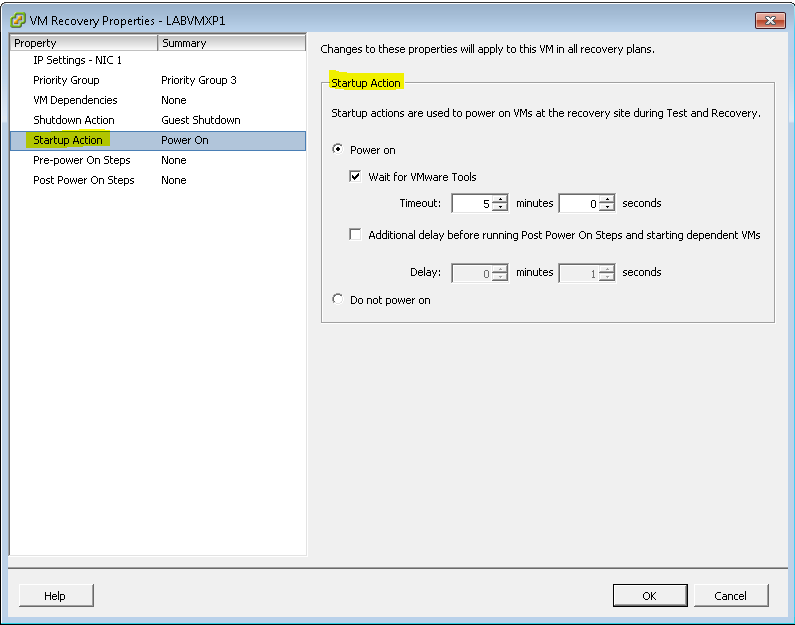 VMware Tools needs to be running and there is a timeout setting. 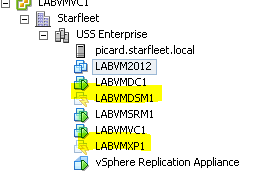 This is for when the VMs Startup at DR. SRM will use VMware tools to see when the VM has come up. 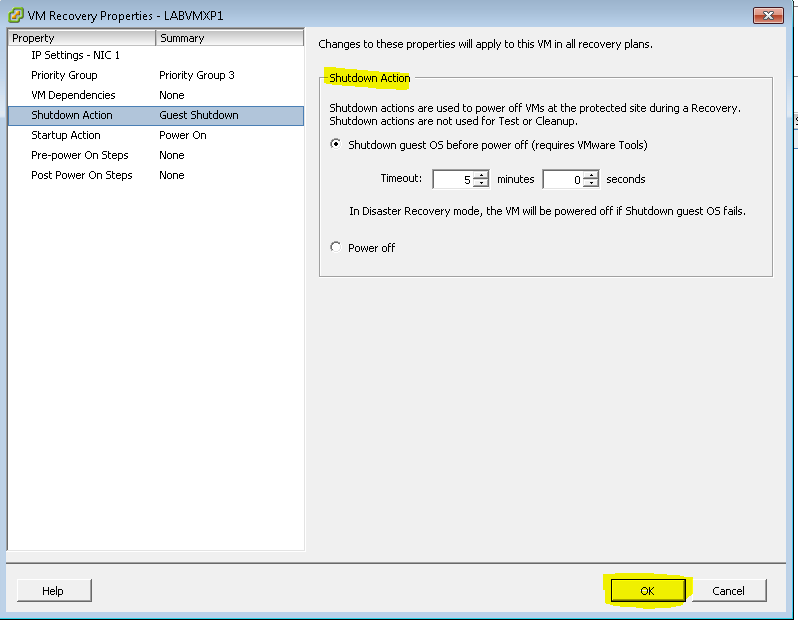 I have had instances where I had to manually restart vmtools after power up during testing. Be aware of that.